Jonah 4:2 – He prayed to the Lord and said, “O Lord! Is not this what I said while I was still in my own country? That is why I fled to Tarshish at the beginning; for I knew that you are a gracious God and merciful, slow to anger, and abounding in steadfast love, and ready to relent from punishing. Jonah was a reluctant witness. He didn’t want to go to Nineveh. Why not? Didn’t he want others to know about God? Not the Ninevites. They were evil, and Jonah didn’t think that they deserved to be saved. 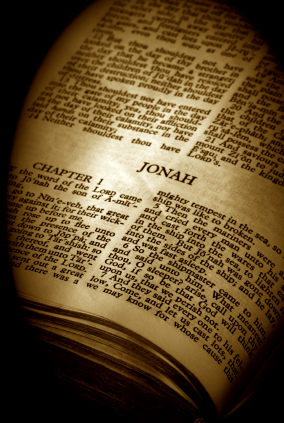 What I love is that Jonah was sure of the character of his God. Even though Jonah was being sent to Nineveh to tell them that they were doing evil in the site of the Lord, Jonah knew that if they showed remorse and changed there ways that God would have pity on them. That’s why Jonah tried to sail to Tarshish and get out of telling the prophecy. Jonah didn’t want the Ninevites to escape destruction. While Jonah didn’t want to go to Nineveh, his faith can increase our faith. He didn’t run to Tarshish because he didn’t believe in God, but because he knew God so well. Because of Jonah’s testimony, we are able to see that he had faith that our God was gracious, merciful, slow to anger, abounding in steadfast love, and ready to relent from punishing. These are amazing things to know about our God, and Jonah didn’t just think them, he knew them. Jonah was so sure that God was all of these things, he went to Tarshish, because He knew God would give Nineveh a second chance. Has your faith ever increased because of the witness of someone else. Has someone sharing their testimony (why they know God is God) strengthened your faith? It has happened to me. That’s part of the reason it’s important for us to be in relationships with other believers. Their faith in the one true God helps to build and confirm our faith. We hear their stories about God’s work in their lives, and our faith increases. We are assured of His presence. Through the testimonies in scripture, the Holy Spirit’s testimony and the testimony of other believers, we are able to get a fuller picture of the character of our Lord. Since the testimony in scripture, from the Holy Spirit and our loved ones is so important to our faith, we too are called to share our testimony. To share what the Lord has done in our lives. You don’t have to preach it from the mountain tops necessarily (but kudos if you do), but even in a quiet conversation with a friend who is struggling, the Holy Spirit working through your faith can help to increase and strengthen your friend’s faith. And now why do you delay?